Ladan Mohammad-Zadeh, DVM, DACVECC, goes through a case study of a canine that ingested multiple coins, causing a zinc induced hemolytic anemia. An 8 kg, 2 year old male neutered Boston Terrier presented to the general veterinarian with a one week history of lethargy and decreased appetite and a two day history of pigmenturia. The owner noted that the dog was with him visiting family over a holiday weekend and there was a high likelihood the dog could have ingested a non –food item. Initial work up included an in-house complete blood count, serum biochemistry profile and urinalysis. Abnormalities in the CBC included a leukocytosis (32.73 k/µL [5.05 – 16.76]), neutrophilia (22.88 k/µL [2.95 – 11.64]) with bands suspected, thrombocytopenia (111 k/µL [148 – 484]), anemia (HCT 18.8% [ 37.3 – 61.7]), reticulocytosis (219.6 k/µL [10 – 110]), decreased hemoglobin (5.8 g/dL [13.1 – 20.5]), lymphocytosis (7.45 k/µL [1.05 – 5.10]), and monocytosis (2.23 k/µL [0.16-1.12]). A manual differential was not performed thus neither the thrombocytopenia nor the presence of bands was verified. Chemistry abnormalities included elevated alkaline phosphatase (386 u/L [23-212]), elevated GGT (10 u/L [ 0-7]), elevated amylase (1946 u/L [500-1500]), elevated lipase (2138 u/L [200-1800]), elevated BUN (56 mg/dL [7-27]), hyperbilirubinemia (26.4 mg/dL [0-0.9]), and hypokalemia (3.0 mmol/L [3.5-5.8]). Urinalysis revealed dark red/brown turbid urine with a specific gravity of 1.014. Dipstick was positive for protein (2+), blood (1+), and bilirubin (3+). Sediment showed rare WBCs and RBCs and no bacteria, crystals, or casts. 4DX Snap test was negative for Borrelia, Ehrlichia, Anaplasma, and Dirofilaria. Lateral and ventrodorsal projections of the whole body were obtained showing multiple round, flat, radiodense objects in the stomach (Figures 1a & 1b). A saline agglutination test was performed with questionable microagglutination noted. Figure 1a. Lateral whole body radiograph showing a round, radiopaque gastric foreign body. Courtesy of VCA Laurelhurst Veterinary Hospital. Figure 1b. Ventral dorsal whole body radiograph showing multiple round, flat radiopaque gastric foreign bodies. Courtesy of VCA Laurelhurst Veterinary Hospital. An IV catheter was placed and the dog was given 7mg maropitant subcutaneously and a 200 ml Plasmalyte bolus was administered. He was continued on Plasmalyte at 33 ml/hr until transfer shortly after. At this point, the dog was referred to DoveLewis. On presentation to DoveLewis the dog was dull but responsive and had generalized weakness. Temperature was 101.9°F, heart rate was 150bpm with synchronous and bounding pulses. He had a III/VI murmur. Respiratory rate was 48bpm with normal sounds and effort. Blood pressure obtained via Doppler was 175mmHg systolic. Mucous membranes were icteric and dry. Capillary refill time was not noted on admit. He had general icteric hue to sclera, pinna and skin (Figures 2a & 2b). Abdomen was mildly tense on cranial deep palpation and gut sounds were present but quiet and infrequent. He had a body condition score of 5 out of 9. Normal stool was noted on rectal exam. The consolidated problem list for this dog included regenerative anemia with normal protein level and hyperbilirubinemia, hyperdynamic shock, heart murmur, elevated BUN, and gastric foreign body. The differentials for the anemia included hemolytic anemia secondary to zinc toxicosis versus IMHA with incidental gastric foreign body. The differentials for the elevated BUN with normal creatinine included gastric ulceration with or without blood loss versus renal disease. The differential for the heart murmur included intrinsic heart disease versus murmur secondary to viscosity changes from the anemia. It was determined that this dog was clinical for the anemia and was typed DEA 1.1 negative in anticipation of packed red blood cell transfusion. Figure 2a. Mucous membrane icterous noted at the time of presentation. Figure 2b. Scleral icterous noted at the time of presentation. The possible treatment options at this point were discussed with the owner. 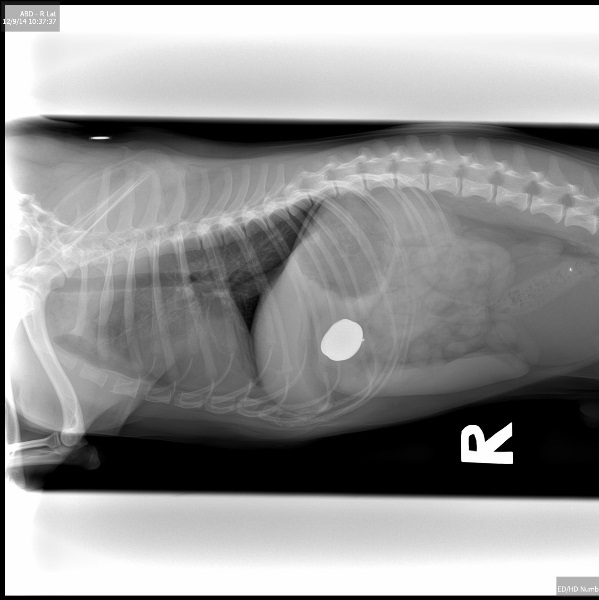 Given the presence of objects in the stomach that could represent zinc containing coins and the dog’s clinical status, the option of immediate removal of the foreign bodies was offered to the client. There was brief discussion surrounding the option of endoscopy versus gastrotomy. Although endoscopy is less invasive, successful retrieval of round objects can, at times present a challenge, necessitating conversion to laparotomy and adding time to anesthesia. 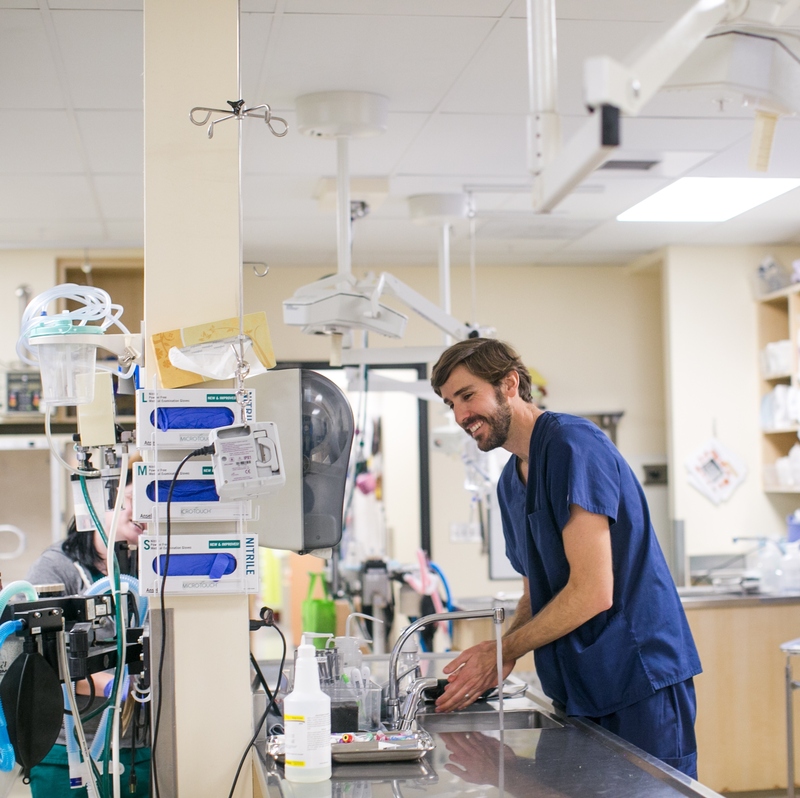 In a critical patient with compromised oxygen carrying capacity, timely and expedient intervention is key to decreasing overall risk of anesthesia. With this in mind, the owner opted to proceed directly to gastrotomy. The dog was premedicated with midazolam IV (0.1 mg/kg) and oxymorphone IV (0.075mg/kg) and induced with propofol (5 mg/kg). He was maintained on isoflurane gas for the duration of the surgery. He was also given cefazolin (20 mg/kg) at induction. The surgery was 38 minutes long and the patient was hypotensive (MAP 55-65 mmHg) for most of the anesthesia despite 10 ml/kg packed RBC bolus, and 10 ml/kg bolus of Normasol R. At surgery the serosal surfaces were noted to be icteric and tacky and there was a general hypoperistalsis of the intestinal tract. A simple gastrotomy was performed and nine coins were removed from the stomach including one quarter, one dime, one nickel, four whole pennies and two partially eroded pennies (Figure 3). The mints of the pennies whose year of mint was visible were 2014, 2013, 1993, and 1982 (Figure 4). The rest of the abdominal explore was within normal limits. Figure 3. Coins removed via gastrotomy. Figure 4. Pennies removed via gastrotomy with mint date visible. The patient had an unremarkable recovery in the intensive care unit. Doppler blood pressure was 150 mmHg upon extubation. Ongoing treatments post operatively included Normosol R at 35ml/hr, famotidine 8mg IV q 12 hrs, sucralfate 500mg PO q 8 hr, ondansetron 2mg IV q 12 hr, and oxymorphone 0.5mg IV q 6 hr. A single post-operative cefazolin dose of 160mg IV was given. PCV/TS two and a half hours post transfusion was 28%/6.8 g/dL. Days two and three of hospitalization, the dog spent the days with his local veterinarian and then returned to DoveLewis for overnight care. His recovery was slow from the standpoint of the dog’s attitude and appetite. He continued to be moderately hypokalemic on day two (K+ 2.9 mmol/L [3.5-5.8]) but this resolved by day three with the addition of 40mEq KCL/L to the crystalloid fluids. His PCV/TP dropped only slightly on day two to 25%/6.0 g/dL and continued to drop slightly again on day three to 22%/5.6 g/dL. On day four of hospitalization with the local veterinarian, an in-house complete blood count and serum biochemistry profile were obtained. The dog had a leukocytosis (33.98 k/µL [5.05 – 16.76]), neutrophilia (17.67 k/µL [2.95 – 11.64]) with bands and nucleated RBCs suspected, thrombocytopenia (84 k/µL [148 – 484]), anemia (HCT 16.5% [ 37.3 – 61.7]), reticulocytosis (405.5 k/µL [10 – 110]), decreased hemoglobin (5.4 g/dL [13.1 – 20.5]), lymphocytosis (10.13 k/µL [1.05 – 5.10]), and monocytosis (5.84 k/µL [0.16-1.12]). A manual evaluation of the blood revealed platelet count estimated at 110,000, PCV of 21%, and occasional nucleated RBCs. Slide agglutination was repeated and was negative for macro and microagglutination. Chemistry abnormalities included a higher alkaline phosphatase (1620 u/L [23-212]), elevated ALT (116 [10-100]), improving hyperbilirubinemia (7.9 mg/dL [0-0.9]), improved hypokalemia (3.4 mmol/L [3.5-5.8]), and mild hypochloridemia (108 mmol/L [ 109-122]). The dog was discharged with maropitant 16mg PO q 24 hrs, s-adenosylmethionine/silybin A + B 225 mg/24 mg PO q24 hr, mirtazapine 3.75mg PO q 24 hr, famotidine 5 mg PO q 12 hr and metoclopramide 5mg PO q 8 hr. The dog followed up two days after discharge and was reported to be improving but was not back to himself in terms of appetite and attitude. Bloodwork was sent to an outside reference laboratory included a mini-chemistry panel and complete blood count. It showed improving hyperbilirubinemia (4.6 mg/dL [0-0.3]), worsening alkaline phosphatase (1969 u/L [5-160]), and a new finding of hypoalbuminemia (1.9 g/dL [2.7 – 3.9). Complete blood count showed continuing leukocytosis ( 26.5 k/uL [4.9-17.6]), neutrophilia with left shift (neuts 22.26 k/uL [2940-12670], bands 1325 [0-170]), continued reticulocytosis (582 k/uL [10-110]), continued anemia (HCT 22.4%). The anemia was confirmed with a manual PCV of 24%. No change to the dog’s at home therapy was made. 10 days after discharge (14 days after initial presentation) a final follow up was done. The dog was reported to be doing well at home. Bloodwork was sent to an outside reference lab. The only persistent but improving abnormalities included ALKP (741 u/L [5 – 160], total bilirubin (1.4 mg/dL [0.0 - 0.3]) and mild reticulocytosis (282 k/µL). The hypoalbuminemia had resolved. HCT was 43%. Zinc toxicity in veterinary medicine is not an uncommon occurrence. Sources for zinc include United States pennies minted after 1982, Canadian pennies minted from 1997 – 2001, zinc oxide ointment (sunscreen and diaper rash cream), and galvanized metals (zinc coating over steel or iron found in mechanical parts and toys). The approximate median toxic dose is 100 mg/kg; this translates to approximately 1 zinc penny for a 23 kg dog. The pathophysiology of zinc toxicity is multifold. Once the zinc metal is dissolved by gastric acid it forms soluble zinc salts that can cause direct damage to the gastric mucosa. This damage becomes important in cases of longer standing ingestions such as in this case. 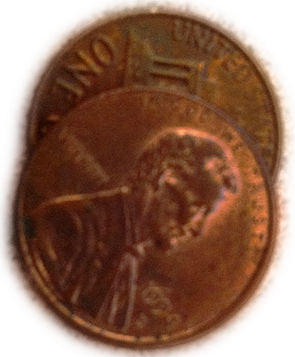 The amount of erosion of two of the pennies suggests contact time with gastric acid of at least several days if not longer. The human literature is peppered with case reports of children and adults with chronic penny foreign bodies in the esophagus and stomach resulting in severe esophageal and gastric mucosal lesions. Interestingly, hemolytic anemia is not as emphasized as a potential complication of zinc ingestion in people. Once absorbed systemically zinc toxicity can cause an array of end organ damage including to the liver, kidneys, and pancreas. Zinc toxicity can also induce a coagulopathy via inhibition of Factors VIII, IX, XI, and XII. The exact mechanism for zinc toxicity is not known but is suspected to be a combination of membrane oxidative damage, inhibition of specific coagulation factors, and the secondary effects of ischemia/reperfusion injury and release of heme proteins from RBCs (e.g. inducing renal tubular necrosis). Clinical signs referable to zinc toxicity include vomiting, lethargy, pigmenturia, icterus, and diarrhea (with or without melena). Laboratory findings could include regenerative anemia, hyperbilirubinemia, neutrophilic leukocytosis, pigmenturia, elevated hepatic enzymes, elevated BUN (with or without creatinine elevation) and elevated lipase. Diagnosis of zinc toxicity is usually made taking clinical signs in combination with diagnostic imaging confirming the presence of a metallic object suspected to contain zinc. Unfortunately radiographs cannot distinguish between different types of metals. The clinician must consider the possibility that clinical signs could be independent of the identified foreign body. Zinc oxide cream may not have an abnormal radiographic appearance thus evidence of tampered tube or container may be helpful in determining toxicity due to cream ingestion. Commercial laboratories will report zinc levels, however special royal blue top tubes are required for collection and the turn-around time is 5-7 days. Any contact of the blood sample with rubber will render the test inaccurate. Treatment for ingestion of zinc containing metals is two-fold. Initial treatment should be targeted towards treating systemic abnormalities including treating for shock, dehydration, anemia, and GI support. Fluid therapy will support renal function, facilitate renal elimination of zinc, and help address electrolyte abnormalities. Packed red blood cells can be used to treat the anemia. If there is evidence of whole blood loss (low PCV and low total protein), then whole blood or plasma plus red blood cells can be used. Starting antacid therapy immediately may help reduce further absorption of soluble zinc salts into systemic circulation. Secondly, removal of the metallic object should occur as soon as the patient is stable enough to undergo endoscopy or surgery. Once the zinc containing object is removed, plasma zinc levels should drop dramatically, especially in the face of continued fluid diuresis. Chelation therapy is controversial. Chelating zinc enhances absorption across the gut barrier and may worsen clinical symptoms. Thus if removal of the zinc containing object can be achieved, chelation therapy is generally unnecessary. For massive ingestion of zinc oxide paste, activated charcoal may be helpful in binding to the zinc and facilitating GI elimination. 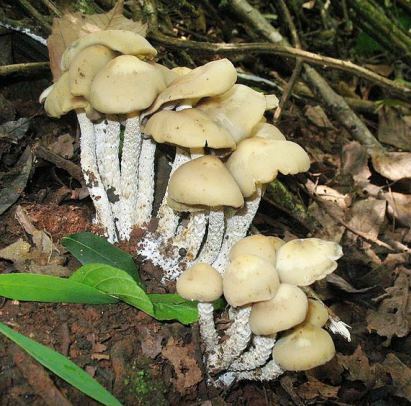 Prognosis for zinc toxicity can be very good if therapy if the source of the zinc is foreign material that can be removed and proper supportive care measures are implemented. Monitoring for liver dysfunction, renal failure and pancreatitis is warranted even after foreign body removal. IDEXX reference lab directory of tests and services.